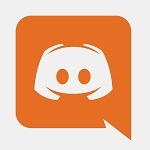 Today, we're happy to announce you that we now have an official Discord server for our community! Thanks a lot to fykseN who made it possible. Discord is a modern gaming platform that makes communication very convenient. 3. Easier contact with admins as well for support, etc. i didnt play when IRC cup were played (also never user that chat app), would you explain how to worked exactly? Briefly, the was an irc channel #XJ. There were people, admins and a cup bot. Cup bot used to receive commands from an admin and was sending them to a gaming server bot. If you need an in-depth explanation let me know, I'll tell more. Shock might as well share here? Even I'm pretty much in the dark when it comes to these old xj days terms.